Defense Minister Avigdor Liberman claimed Sunday morning that the Ayatollah regime in Tehran was “living on borrowed time,” expressing his hope that US President Donald Trump’s Korean model of complete denuclearization could be implemented in Iran as wel. On the internal situation in Iran, he commented that “I am following the turmoil in Iran, and there hasn’t been such turmoil since the Khomeini revolution,” referring to the 1979 Islamic revolution orchestrated by Ayatollah Ruhollah Khomeini. “If the economic sanctions continue, the Ayatollah regime is living on borrowed time,” he concluded. Israel has repeatedly vowed it will not tolerate Iran’s military presence in Syria and has carried out airstrikes on targets in the country, including last month in response to Iran’s firing of rockets from Syria at the Golan Heights. Liberman also spoke about the Gaza Strip, claiming that the protests and tensions in the enclave don’t originate from its collapsing economy — as many, including in Israel, have said. He called for an end to the “illusions and hallucinations that improving the economy will end terror. He spoke with with Army Radio ahead of a security cabinet meeting to discuss the humanitarian crisis in Gaza, which has been cited as a major factor fueling violent clashes on Israel’s border with the Hamas-run Palestinian enclave. Gaza’s woes have been exacerbated by an ongoing dispute between Hamas and the PA, which has cut the salaries it pays to workers in Gaza and imposed various sanctions, including cutting of payments for electricity supplies to the enclave. “There are three reasons for the dire humanitarian situation in the Gaza Strip,” Liberman said. The first, he said, was Palestinian Authority President Mahmoud Abbas, “who one day decided to stop transferring funds to Gaza. Just last week he transferred half of the April salaries.” He was echoing similar criticism made Saturday by Prime Minister Benjamin Netanyahu. But the primary obstacle to a solution according to Liberman, was Hamas’s objection to returning the Israeli captives in Gaza — civilians Avera Mengistu and Hisham a-Sayed, who both crossed into Gaza of their own accord in 2014 and 2015, and the bodies of IDF soldiers Hadar Goldin and Oron Shaul which were abducted in the 2014 war known in Israel as Operation Protective Edge. Hamas “can get a generous humanitarian package if it returns the missing Israelis,” Liberman suggested. Gaza faces a lack of electricity, drinkable water and food. Israel and Egypt maintain a blockade on the Strip which they say is designed to prevent Hamas from importing weapons and other goods that could be used to build fortifications or tunnels. Four Gazans were killed in clashes at the border Friday, the latest in a series of protests dubbed the “Great March of Return.” The IDF said people used helium-filled balloons to carry explosives, detonated by remote control, in attempts to attack troops. The defense minister said Hamas doesn’t recognize Israel’s right to exist and therefore will continue with hostilities no matter the situation in Gaza. He claimed that the thousands who protested and clashed with IDF troops on Friday were connected “directly or indirectly” with Hamas and had been left no choice but to attend the demonstration. “Whoever thinks improving the civilian and economic situation in Gaza will halt the terror kites and the violence, is simply wrong,” he charged. “Enough with all sorts of hallucinations and illusions that improving the economy will end terror. 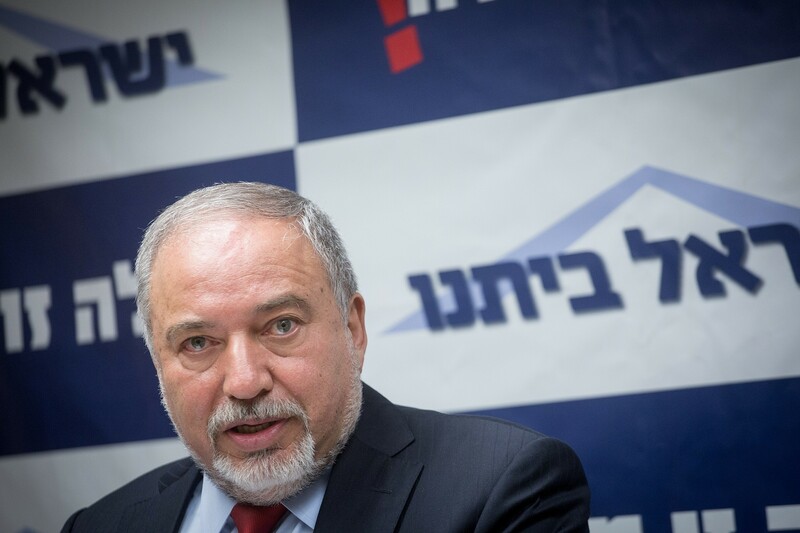 Liberman said Israel was successfully dealing with the wave of violence, claiming that two thirds of the incendiary kites sent over the border have been intercepted, but vowed to find a better way to eliminate that threat. “Hamas is trying to drag us to a confrontation and is willing to pay heavy prices,” he said. “We need to understand that the Israeli people’s morale is crucial — there are kites and fires, and that’s unpleasant, but in the end people continue with their daily lives. We have managed to intercept two thirds of the kites, but no kite should pass and cause a fire,” the defense minister added. Ministers at Sunday’s cabinet meeting are likely to authorize the use of live fire against Palestinians flying the attack kites and balloons into Israel, Israel Radio reported on Saturday, quoting Public Security Minister Gilad Erdan. This entry was posted on June 10, 2018 at 10:04 AM and is filed under Uncategorized. You can subscribe via RSS 2.0 feed to this post's comments. You can skip to the end and leave a response. Pinging is currently not allowed. Correct as always ! Greatest respect for Mr. Libermann – a true man ! (Not like these european sissis / cowards / hypocrits ). The sooner the iranian nazi dictators are taken out, the better ! Jewish saying : Nothing good exept its DONE !